Businesses of all sizes are recognizing the critical need to provision, manage, and govern data effectively in order to discern the signal from the noise while also ensuring agile data governance throughout their workforce. As organizations continued to see data volumes explode and an increasing number of employees need access to critical information, data cataloging considerations shifted from being a department level concern to an enterprise critical issue . As the first company to bring data catalogs to market, Alation has seen the evolution of this market and the ways the most innovative companies approach their data initiatives. 1. Stock market turbulence will mean a reevaluation of data investments - for some: Overall, investment in data and analytics will continue to increase, but organizations with low conviction or those that were late to the party will pare back investments that are failing to find direct ROI. On the other end of the spectrum, those with mature analytics programs will accelerate their investment, having proven ROI many times over. 2. Organizations will learn to better assess the productivity of knowledge workers: Just as companies measured the throughput of workers on an assembly line, they will also start to measure the output of programmers and analysts. These efforts won't be perfect, but given high labor costs and differential productivity, companies will start to look for ways to ensure that they are receiving a return on their investments. 3. The analytics market will start to consolidate: In the coming year, we'll see private equity buyers attempting roll-up plays within the analytics market. Large megavendors will start to purchase analytics companies, while other companies will merge to find scale. 1. Behavioral metadata will lead businesses to more accurate predictions: Organizations will experience further disillusionment with all the vague hype around machine learning and AI. They'll increasingly realize that accurate predictions require not just a large volume of training data, but a particular type: behavioral metadata. Analysis of this data can be mined to better shine a spotlight on what's used and what's useful. This is the same insight that drove Google Search's ranking prowess two decades ago: the content of a webpage was less predictive of its utility than how often other pages - built by other people - linked to it. As the ML/AI buzz continues to wear thin, we'll see a strong appetite emerge for this type of impact-driven technology and behavioral metadata among organizations. 2. A new class of chief data officers will start putting their fingerprints on businesses: In 2019, we'll see chief data officers (CDOs) continue to emerge in more industries, beyond traditional sectors like banking, finance, insurance and healthcare. And these will often be internal promotions out of data science and analyst groups. This new class of CDOs will be increasingly tasked with driving organizational change and business value, impacting the bottom line with insights and data-fueled products rather than just providing cover in a regulated environment. 3. CDOs will bridge self-service demands and governance goals: CDO offices - and other groups with centralized-and-distributed/hub-spoke hybrid models - will be given a mandate to implement a holistic, two-sided data strategy for their enterprises, bridging the self-service demands of the business with the governance goals of IT and legal departments. Tradeoffs between efficiency and empowerment or correctness and compliance will no longer be acceptable. 4. Marketers and product managers will be forced to become more data literate: In 2019 and beyond, corporations will expect their "business users" to be increasingly data savvy and data literate. Data expertise and knowledge will no longer be a skill confined to data analysts and scientists, as we'll see product managers, marketers and other business users increasingly expected to pull their own numbers instead of just sending data requests. 5. Customer 360-degree models will create new revenue opportunities: In 2019, more and more conglomerates will see revenue opportunities in building customer 360-degree models - joining data across all their subsidiaries and customer touchpoints to create a unified view. Satyen is the CEO of Alation and a co-founder. In founding Alation, he aspired to help people dispassionately observe the world around them, empowering them to passionately work to improve it. 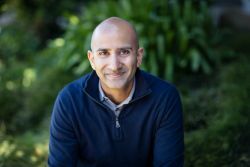 Before Alation, Satyen spent nearly a decade at Oracle, where he ran the Financial Services Warehousing and Performance Management business. Prior to Oracle, Satyen was an associate with the private investment firm, Texas Pacific Group and an analyst with Morgan Stanley &amp; Co. He holds a Masters in economics from the University of Oxford and a Bachelors from Columbia University. Aaron is vice president of design and strategic initiatives and a co-founder of Alation. Passionate about user experience, he has spent his career crafting delightful and empowering products, with a special focus on natural language interfaces. 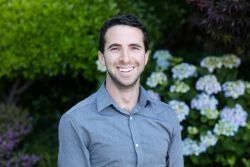 Prior to Alation, Aaron worked at Apple on iOS and Siri, doing engineering, research, and design in the Advanced Development Group. He holds Bachelors and Masters degrees in Symbolic Systems with a concentration in Human-Computer Interaction from Stanford University.